New Waterford native Kirk MacDonald and Toronto guitarist Lorne Lofsky first traded tunes 17 years ago. They’ve been at it off and on ever since. On Sunday and Monday nights in the Commons Room at the Halifax Holiday Inn they teamed up with drummer Jerry Fuller and bassist Neil Swainson in what has become one of the most protein-rich jazz quartets in Canada. 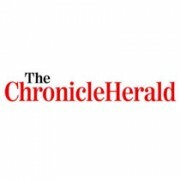 We’ve always tried to keep that thing going, but it’s been more of a working group the last four years,” MacDonald said in an interview following the quartet’s solid gig at the Atlantic Jazz Festival Sunday night. Just recently they recorded a CD as the Lorne Lofsky Quartet, and early this week they will be laying down the tracks for what MacDonald hopes to release in the next six months as the Kirk MacDonald Quartet. This is no beginner group trying to find enough tunes everybody knows to put on a disc. The repertoire of the band, MacDonald says, could be anything. “Lorne and Neil know every tune written. I’m the guy who knows the least.” He’s just being modest. The working repertoire of the band is somewhere around 200 tunes. MacDonald talks of the “cornucopia of choices” they have when they go out on the bandstand. Add in a few originals, written by Lofsky or by him and it means that, as Kirk said Sunday, “It’ll probably be a completely, different program tomorrow night. 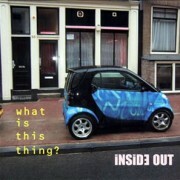 We have that freedom to play in the moment.” Such knowledge is the privileged territory of only the true jazz veterans. Both Lofsky at 42 and MacDonald at 37 are surprisingly young to belong to this exclusive club. But no one who heard Sunday night’s show would dispute their right to membership in it. Take their last tune of the night, John Coltrane’s Giant Steps. “We decided to start with a drum solo then add the bass, then guitar, then sax. It was just a way of getting into it, and then of finding a way out of it,”MacDonald says. After Fuller played a fulsome fanfare, sounding like an entire brass band all on his own, he slammed into a tempo so hot you could fry in it. Swainson, a tall cool dude who plays the bass like he was on the front-line playing sax, laid down both the beat and a chain of eloquently absorbing lines before Lofsky with his clean, precise tone began entering choicely-voiced chords interrupted by flying tracer-shell rockets and arcs of melody. 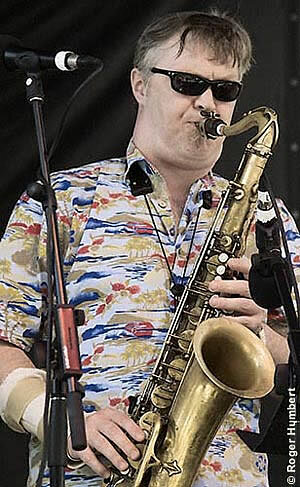 Finally MacDonald, whose tone is the essence of tenor sax, packed to the gunwhales with harmonics and overtones, began to do the thing that he does – an endless stream of bop-like lines which he pours out, without repeating himself, as though he wasn’t simply playing licks, but tapping into a subterranean jet-stream of melodic invention. Heady stuff. It drove the crowd wild with delight that exploded into applause only at the end. Before that, they were too busy listening to think. 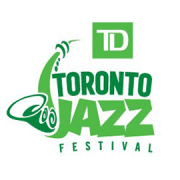 It was Lorne Lofsky Day yesterday as the third annual Ontario Place Jazz Festival got underawy. 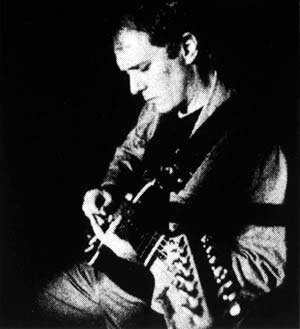 The young Toronto guitarist carried the balance of the solo work with the opening band The Brass Connection, and was a special guest of the third and closing performer, Oscar Peterson. Lofsky ahd such a day last year at the festival, but poor weather prevented him from making a very sizeable impression. There was no such problem last night, though, and his work, especially with Peterson’s bassist, John Heard, and drummer, Terry Clarke, made a deep impression on the thousands who filled the hills around the Forum. As interesting as this young man’s rise in fortunes were the very different performances of the festival’s two veterans: Peterson and Dizzy Gillespie. The trumpeter had the day’s middle spot, introduced quite nicely by The Brass Connection’s closing tune, Gillespie’s own Tanga. But his performance left, and suffered from the impression that he had given the essentially same show every night since his appearance at the Forum as part of last year’s festival – the same jive patter (which wasn’t particularly fresh last year, and which missed a couple of good opportunities for ad libs), the same posturing, much the same choice of tunes, and much the same bits of business with those tunes. To make matters more frustrating, Gillespie once or twice created a short, squealing solo that made it quite clear that he still has the magic. But for most of a long set he was content to coast, resting on his showmanship and on his now-considerable laurels. The tune Giant Steps was written around 1959 by the late tenor saxophonist John Coltrane. It is a classic of modern jazz, 16 bars – once repeated – of harmonic treachery that can’t be taken at any tempo slower than impossible; Coltrane ensured that in 1959 with hois own definitive recording. A musician does not lightly choose to play Giant Steps. Call it on the bandstand and the other players tend to balk a little. Lorne Lofsky likes Giant Steps. The young Toronto guitarist called it twice a few Sundays ago at the Cafe May; he’ll probably call it again this coming Monday at the Ontario Science Centre, where his trio gives the latest concert in the Sound of Toronto Jazz series. At Cafe May his first request for Giant Steps brought the response “maybe next set” from his bass player, Kieran Overs. In its place the trio played Sonny Rollins’ Oleo, still paced at impossible but harmonically a little more manageable. 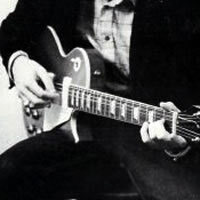 Lofsky, Gibson Les Paul guitar in hands, tore a strip off the tune, as is his wont at such tempos. And well into one of his characteristically convoluted improvisations he dallied for just a moment, long enough to slip in the first four notes of the immediately recognizable theme from Giant Steps before moving on his way somewhere else. In between tune discussions with his sidemen, while he lights up yet another cigarette, he refers to it as “our perennial favorite”. Later, in calling it for the second time, he remarks “I think we’re ready for our big number”, to which Overs ruefully adds the qualification “you mean you’re ready for your big number”. It has become something of a running joke between the musicians. But this time they agree to play it. For the first 32 bars Lofsky has the easy part, marking the chord changes as they pass with every second beat. Overs is playing the rquired four-to-the-bar bass line with an inpressive display of mental and physical dexterity, and drummer Joe Bendza is maintaining the momentum behind. No wonder they’re not too keen on this thing. After 32 bars the guitarist takes over and immediately pushes the music to the limit: he’s out there walking a tightrope, losing his balance now and then and falling occasionally, but dusting himself off with a grimace, a muttered oath or shake of the head, and climbing right back on. Lofsky likes to take chances. “As long as I’ve played,” he admits, “I’ve played that way.” And that daring, among one or two other qualities – like extreme technical proficiency – makes Lofsky one of the most exciting jazzmen in the country. He has been taking chances for about nine years now, beginning at 16 as a rock guitarist under the influence of Eric Clapton, Johnny Winter and Jimi Hendrix, and playing in neighborhood bands in and around the north end of Toronto, Even then, he says, he “never played any solo the same way twice.” After high school he was a member of Arctic Fox, one of Toronto’s many now forgotten rock bands, making “$60 a week, $100 at most.” He admits that there have been weeks since when he has done “much worse” as a jazz musician. The tune Just Squeeze Me was written in 1946 by Duke Ellington and Lee Gaines. It is a classic among pop songs, ands a favorite with musicians who have an ear for pure, singing melody. Lofsky has such an ear and he called Just Squeeze Me that same Sunday night, at the Cafe May. There were no objections. The tempo was easy, the attitude appropriately respectful. Lofsky played around with chords this time – he moved them masterfully, clearly delineating all the melodic contours with sequences of smooth, intriguing combinations of notes. The closing pasage of his improvisation was a brilliant exercise in the manipulation of tension, a puzzle created on the spot and its solution provided with just a slight – delicious – hesitation. Lofsky will take chances at any tempo. Like Bickert, Lofsky is a superior ballad player. And the character revealed in those ballads seem a much more accurate reflection of Lofsky’s off-stage personality than the aggression of the fellow who charges boldly through Oleo and Giant Steps. In conversation he is easy-going and articulate, with an irrepressible sense of humor that works on various levels according to company and context, and naturally finds its way into his music. His career, then, has developed gradually, starting four or five summers ago with the occasional evening at this same Cafe May, to which he has returned for one more night after almost a year’s absence. And what a difference a year has made. as 1979 began he was an important voice in Shelly Berger’s big band at Cafe Soho – a rewarding but hardly high=profile gig. As it ended he was seeing Canada as a member of Kathryn Moses’ popular quartet. In between there were weeks at one Toronto club or another with the veterans Ted Moses, Jerry Toth and Butch Watanabe, a special appearance as a “new face” at the Art Gallery of Ontario’s summer concert series, and even the odd spot here and there with his own trio. There’s one such coming up in February at the Cookery in London. Although he thinks “this town needs one more club – one where Ron (Allen), Alex (Dean) and other younger musicians like us can play”, he’s not about to leave town in its absence. There may be more work in New York, but there are also more musicians in competition for it. “Look at it this way,” he says of Toronto, “where else can you go downtown fairly regularly and hear the greatest guitar player in the world?” The reference is of course to Ed Bickert. 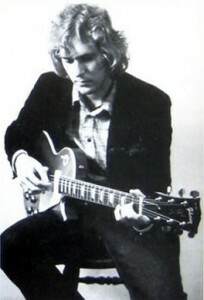 Lofsky continues: “Sonny (Greenwich) has been around a bit more lately, and there was Lenny (Breau), when he was doing things – it’s a great place for a guitar player to be.” He seems unaware that he is approaching that company himself; indeed the observation probably would make him quite uncomfotable. Nor does he seem very aware of a certain personal magnetism he holds over some members of his audience. As someone at the band table commented between sets – Lofsky wasn’t around at the time – “all the girls think he looks like Peter Frampton.” He doesn’t, really, but the same kind of appeal apparently is there. Nevertheless he gives every indication that it’s the music that’s most important. Just Squeeze Me after all, is just a good tune. Nothing more.